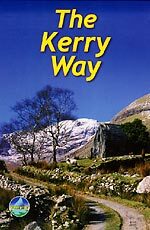 Five years after the initial release of the Kerry Way book, Rucksack Readers have released the second edition for the 2010 season. Changes to the route of the trail have been updated in this release as well as many photographs that have been superseded. This book has a practical design for use whilst walking the trail. This spiral bound book contains pages that are waterproof which is perfect for any rain showers that may occur on the Kerry Mountains. There is also a fold-out map at the back of the book which covers the entire trail at a scale of 1:118,000. 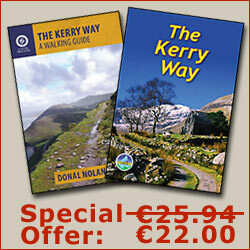 The 64 pages of the Kerry Way are well-researched and broken into several sections. The first section assists with the planning and preparation for the walk. 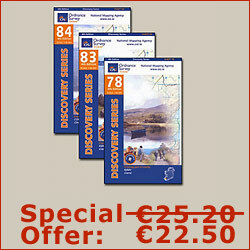 The second section deals with background information which includes geology, wildlife and directions for a side-trip up Carrauntoohil, which is Ireland's highest mountain. The final part contains simple point to point directions giving landmarks to look out for whilst walking.